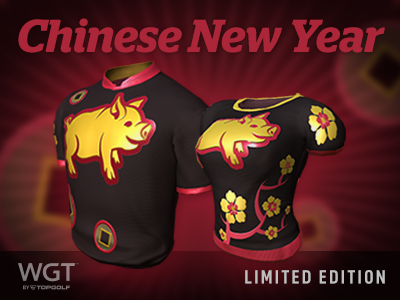 Don't miss out on some limited time apparel on WGT Golf Mobile, available this month! 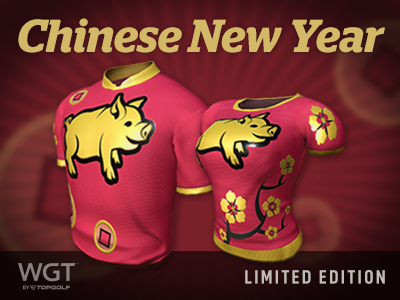 Celebrate the Year of the Pig with these new shirts, available in red and black options – both free in the Pro Shop for a limited time! Choose your favorite (or both) and get them now before they're gone. 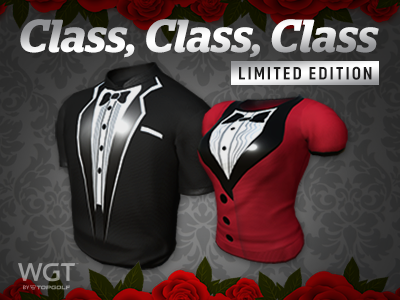 Nothing screams "class" like a tuxedo t-shirt, so get yours now just in time for the most romantic holiday of the year. All of these new items are available now in the Pro Shop and you’ll get both male and female versions, to match the avatar you have equipped. Can't get enough of the newest WGT course? 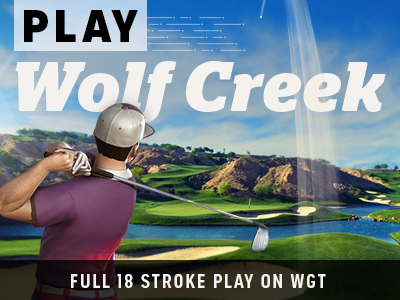 Try entering a free bracket tournament or a paid Ready-Go tournament on Wolf Creek for a new challenge! Starting 2/1 compete in the Merion Classic, the second tournament of the Jan-Mar Quarterly Season. Post your best score by 2/23 to move on to the single-play final round (2/24-2/28). The top 70 combined scores in each Pro-Tour Champion tier will split the total purse prize of 125,000 WGT Credits. Plus, the winning players in each tier of each monthly tournament will display a new "reigning champion" icon next to their player name through the following month.